Katie Bonner is the first to admit that she’s not the best cook in the world, but that’s okay because she was born with a sweet tooth and a baking gene. 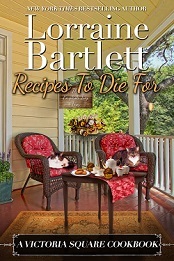 Katie bakes for relaxation, and since she lives alone (except for feline company), she loves to share the bounty of her kitchen with her friends at Artisans Alley. 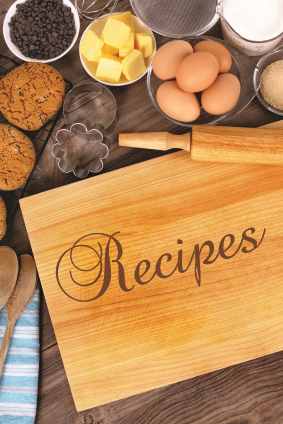 Katie has also put together Recipes to Die For: A Victoria Square Cookbook. To read more about it, click here. 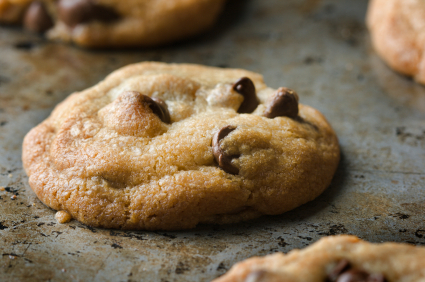 One of Katie’s favorite recipes is for Chocolate Chip Cookies. Oooh! Yum! So nice on a cold day with a cup of tea or cocoa, or on a hot day with an ice-cold glass of milk. I hope you’ll enjoy them as much as Katie and her friends at the Alley do! Sift the flour, baking soda, and salt into a small bowl. Cream the butter, sugars, and vanilla in a large mixer bowl. Add the eggs one at a time, beating well after each addition; gradually beat in the flour mixture. Stir in the chocolate chips and nuts. Drop by rounded tablespoon onto ungreased, foil-lined baking sheets. Bake for 10-12 minutes or until golden brown. Let stand for a couple of minutes, and then remove to wire racks to cool completely. Okay, so cookies are fattening. 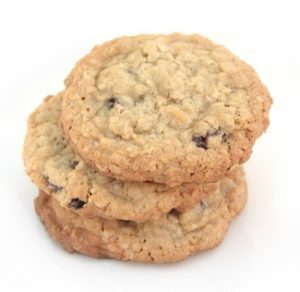 How about a healthy cookie? Oatmeal is good for you. Raisins are fruit. Nuts are protein. Butter is dairy — four food groups in one cookie. How can you miss? In large bowl, cream together the butter and sugars until smooth. Beat in the eggs and vanilla until fluffy. Stir together the flour, baking soda, cinnamon, allspice, and salt. Gradually beat into the butter mixture. Stir in oats, raisins, and walnuts. Drop by teaspoonfuls onto ungreased cookie sheets. Bake 10-12 minutes or until golden brown. Cool slightly, and then remove from sheet to wire rack. Cool completely. 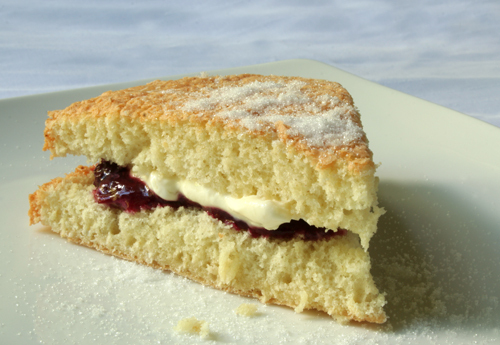 One of Katie’s great aunt Lizzie’s favorite recipes was for cream scones. Katie is happy to share that recipe recipe with you, too. Just click here. 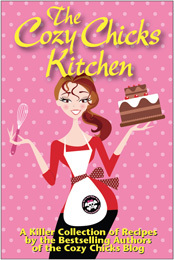 And don’t forget to check out Katie’s Cookbook. Don’t forget to join my newsletter, where I often share more of my recipes! 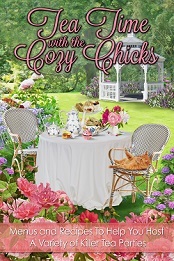 You can also find more Victoria Square recipes in The Cozy Chicks Kitchen.